I’m at right around that point in pregnancy where it feels like I’ve been wearing maternity clothes forever and I’m sick of the ones I have. I don’t have a ton of time left to wear maternity clothes, but I’ve bot a solid 8 more weeks (at least if he follows in his sister’s footsteps) so I still need some cute clothes to make it through this pregnancy! 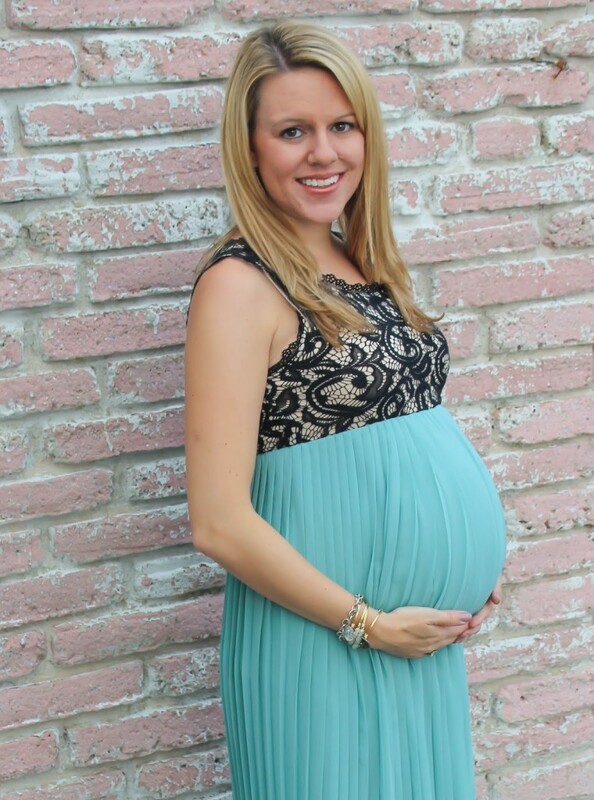 My favorite brand of maternity clothes both my last pregnancy and this one is Pink Blush Maternity. 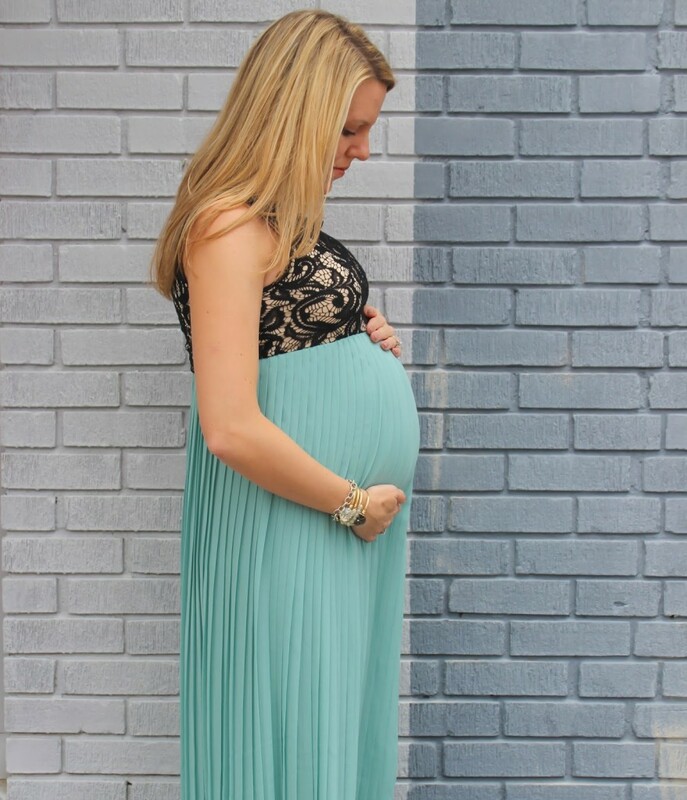 Everything I’ve gotten from Pink Blush Maternity fits great (no wonky sizing), is adorable, and it’s affordable. Pretty much all other maternity clothes I find overpriced and hideous. Not with Pink Blush – these are pieces that I wish I could wear even when not pregnant! 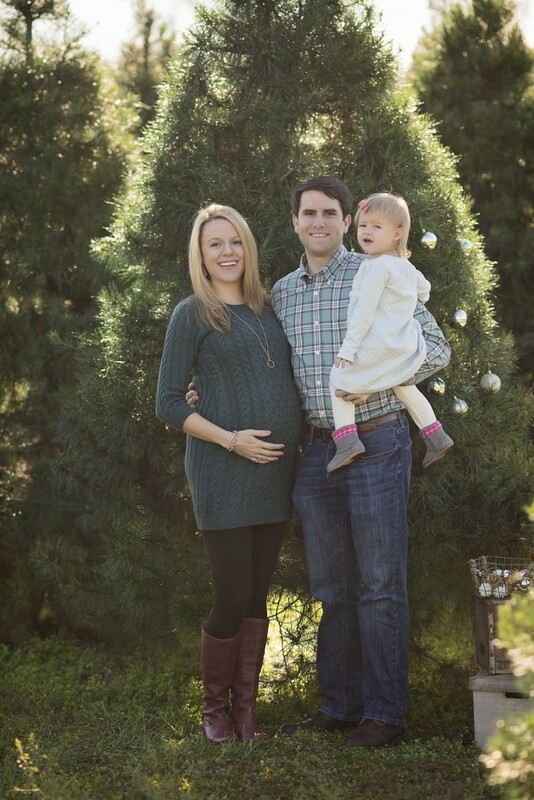 First up is this Forest Green Fitted Tunic that I wore for our Christmas tree farm pictures! This is a classic and looked great in the pictures. It’s cozy and warm while still comfortable, and so easy to throw with leggings for a great winter look. Next up is a piece I’m seriously living in right now. 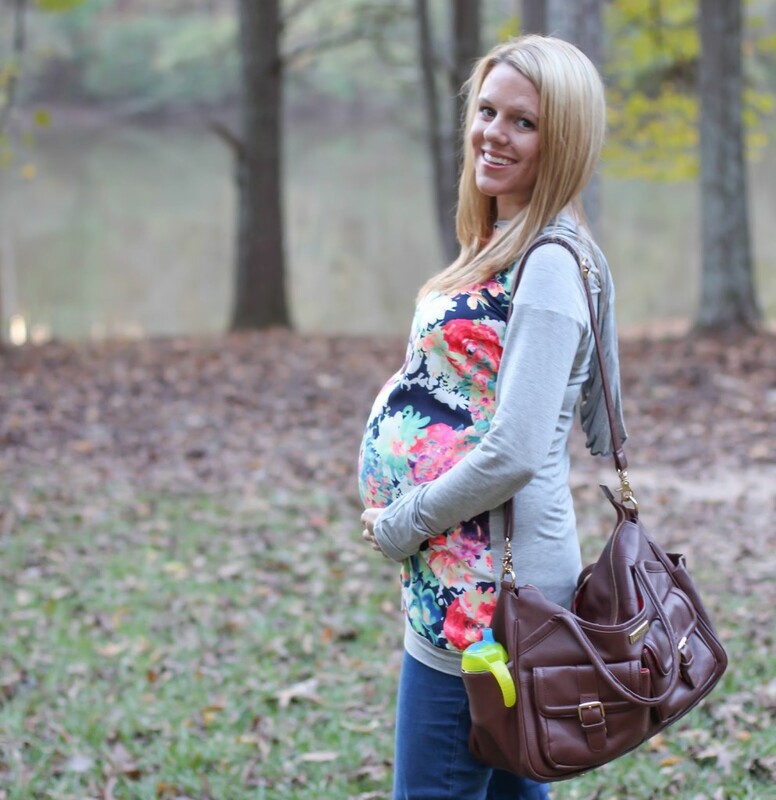 The Floral Hooded Maternity Top is comfortable, cute, and great for running around in. I love that it’s fun and bright, while also still being my favorite color – grey. And last but certainly not least – the most amazing dress ever that I wore to my baby shower this weekend. 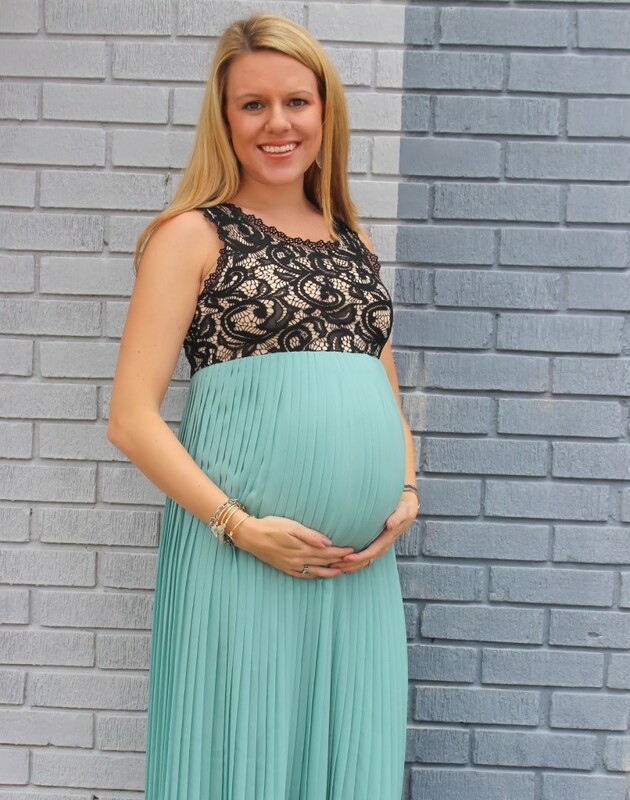 The Pleated Chiffon Lace Top Maternity Dress is a classic piece that I think every preggo needs. This dress would also be awesome for holiday parties! 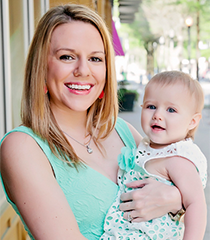 Now I’d love for one reader to win a $25 gift card to spend at Pink Blush Maternity! Enter using the form below – good luck! That green sweater is so cute! I LOVE that floral sweatshirt. My 4-month stomach just popped and I could definitely use some maternity clothes (made it through with tank tops and leggings during the summer last time, winter is way different!). Thank you me too! 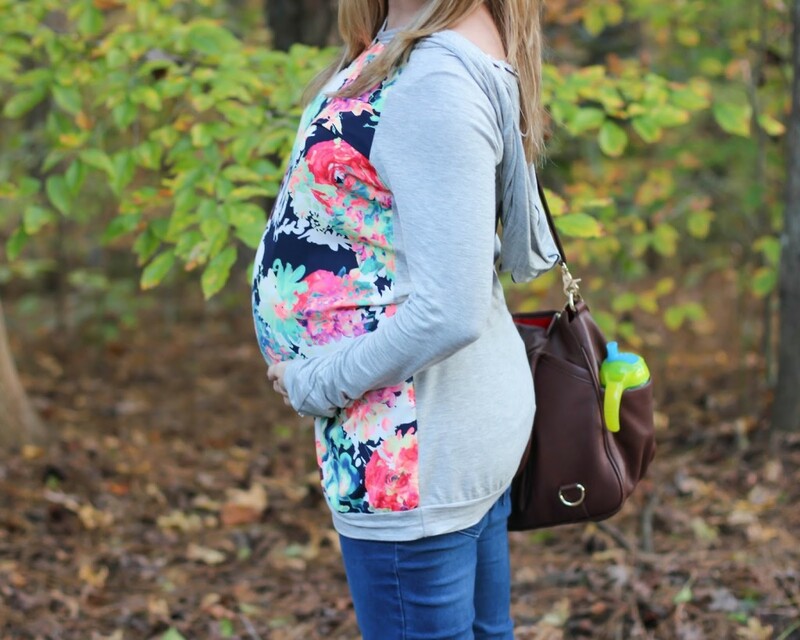 I highly recommend Pink Blush – so far it's the cutest and best priced maternity clothes I've found! You look gorgeous! Love that mint and lace dress on you! Thank you 🙂 it's my favorite! you look so radiant claire!! really excited to see photos of baby when he/she is born! I will have to keep this brand in mind for whenever I get pregnant. I love the tunic! Fits so perfect on you! I have always wanted to try some Pink Blush goodies!! 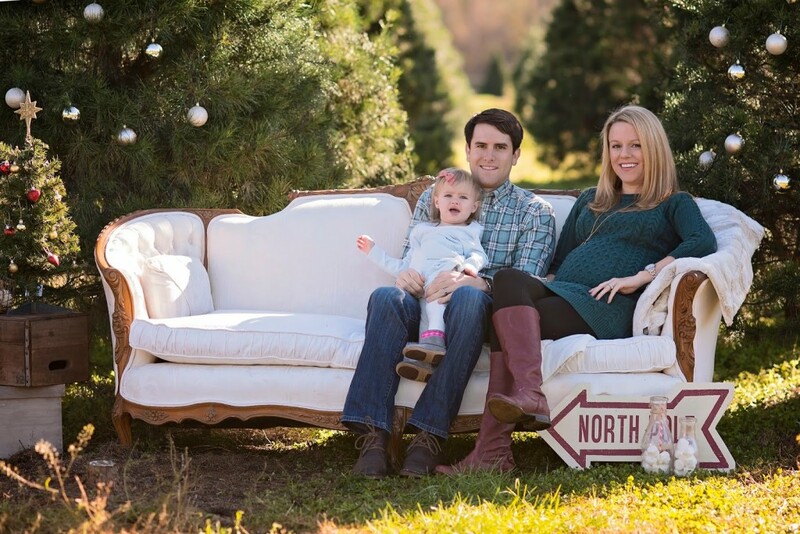 Even their non maternity stuff is amazing!! Love that floral hooded tee on you! I really like the Navy Blue Zip Accent Handbag. If I had to pick a bag, it'd be the Black Textured Bucket Bag! I would pick the teal leather bucket bag!